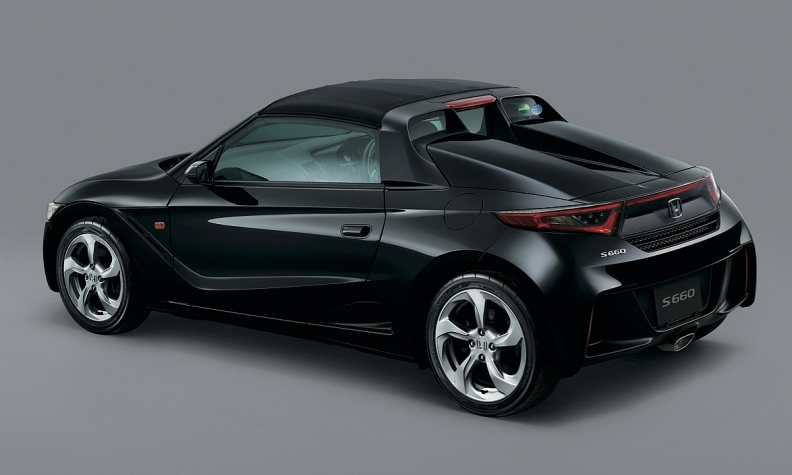 TOKYO -- Honda is going small and sporty with the release of the S660 mini roadster, a new open-top minicar unveiled Monday in Japan that will be sold only in the company's home market, at least for now. The two-seater is powered by a three-cylinder 660cc turbocharged midship engine that matches the S660’s diminutive 134-inch length. It musters just 63 hp. Honda aims to compensate for the low power with plenty of sporty handling through an all-new performance platform and chassis. Indeed, the engine is the only major component shared with other vehicles. It is a specially tuned version of the pedestrian powerplant used in Honda’s N-Box series of minicars. Almost everywhere else, engineers gave the S660 dedicated performance underpinnings, including front and rear disc brakes and a rear aluminum subframe. 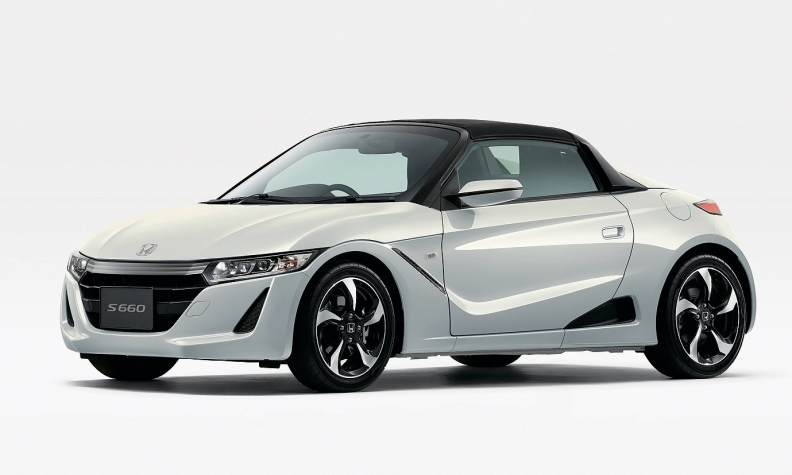 About 67 percent of the S660’s body is made from light, high-tensile steel, delivering body rigidity topping that of now-discontinued S2000 roadster, a longtime Honda fan favorite. The S660 goes on sale in April, starting at 1.98 million yen ($16,630), including tax. Its sleek good looks give Honda a spiritual successor to the iconic Beat minicar and burnish its sporty credentials. The Beat minicar pioneered the low and wide stance, open cockpit and side air intakes that are key design features of the S660. It was produced from 1991 to 1996 and sold only in Japan. Like the Beat, the S660 is designed to meet the stringent size and engine-displacement rules of Japan’s unique minicar segment. Those cars, which are restricted to engines no bigger than 660cc, account for about 40 percent of the domestic market, thanks largely to tax advantages over bigger cars. The S660 engine is mated to either a six-speed manual or a continuously variable transmission with paddle shifters. Despite its minicar classification, the S660 stands out of the crowd for another reason beside its head-turning looks. While it has the same horsepower as Honda’s other minicars, it is more than 220 pounds lighter than Honda’s X-Box minicar, giving it a much sportier power-to-weight ratio.